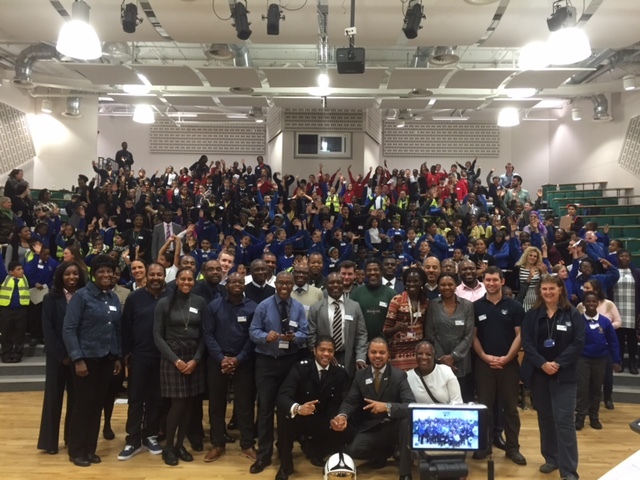 Supporting Reach Society, Alpha BSE engaging with 400 school children, aged 10 to 11 at the Grinling Gibbons Primary School in Lewisham. The young people ended the day with a transformed view of the potential pathways open to them. Ms Cynthia Eubanks, Executive Head Teacher, expressed her delight with the number of students who said they were now actively thinking about their future.